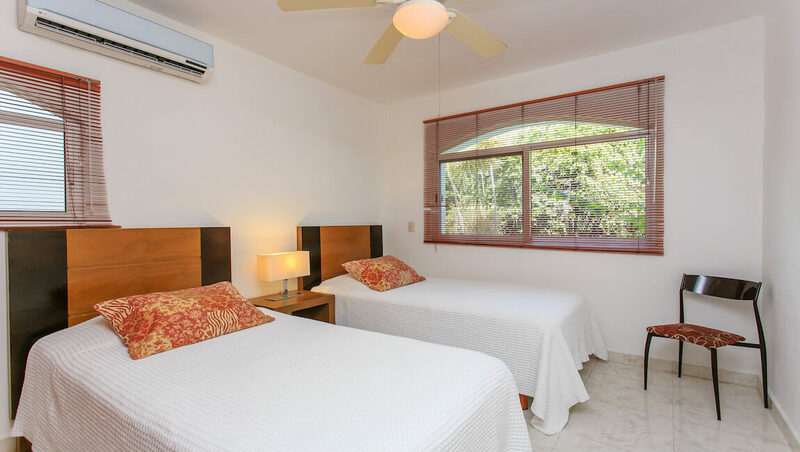 Playamar is far away from any noise and 3 minutes walking distance to the beach. 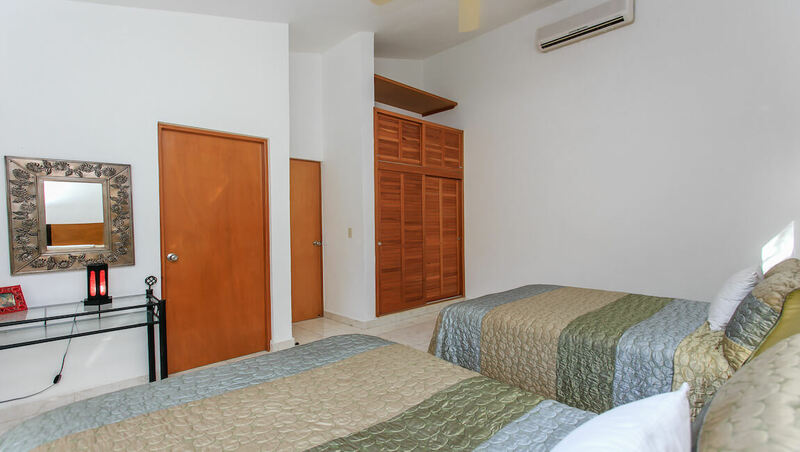 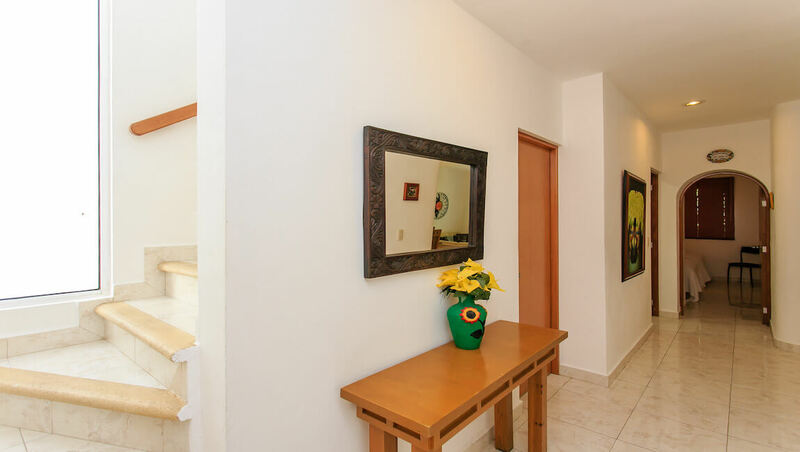 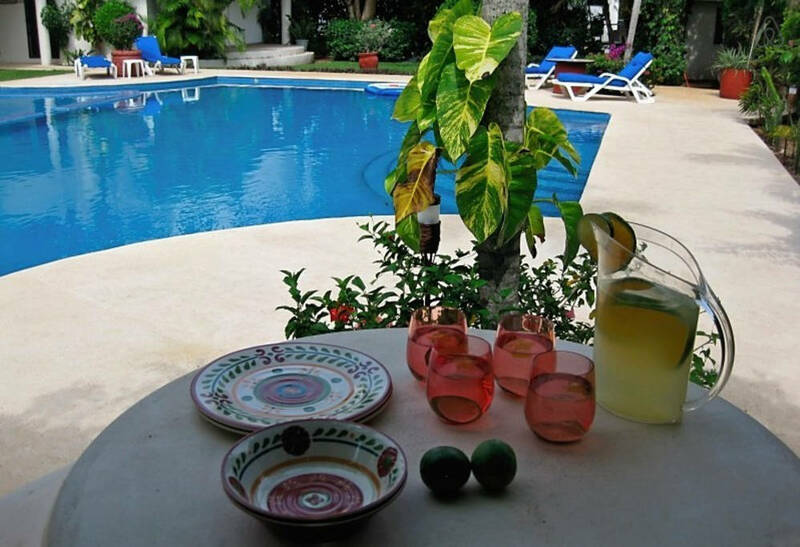 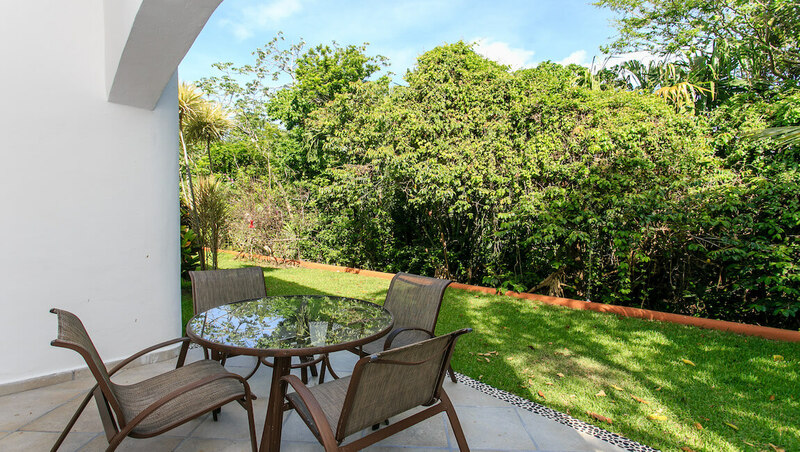 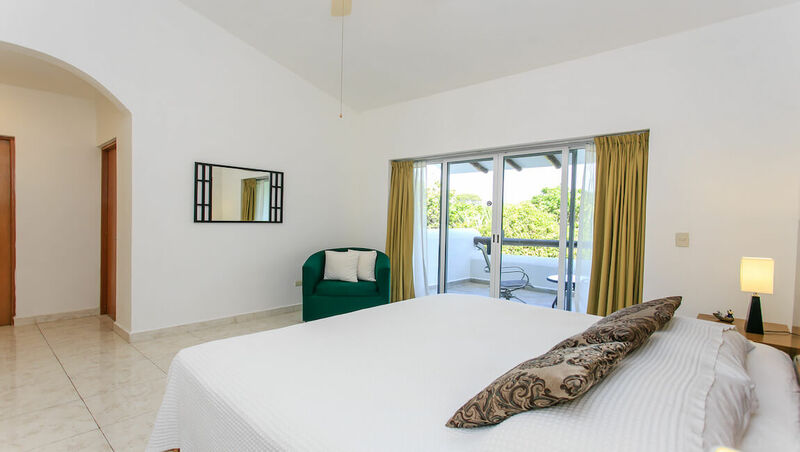 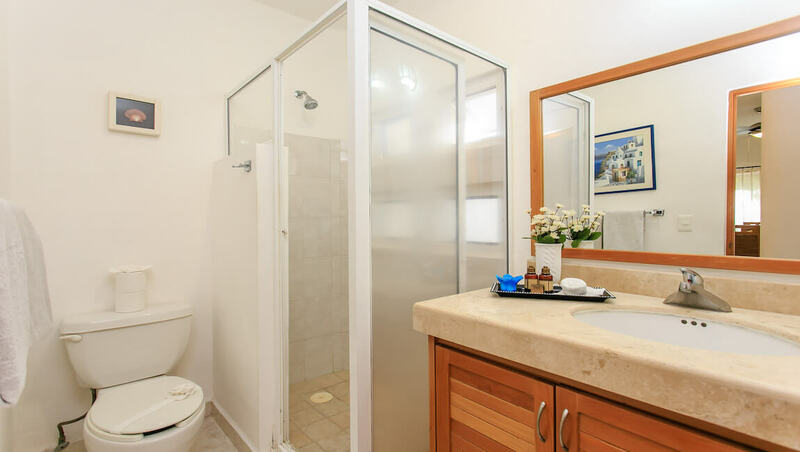 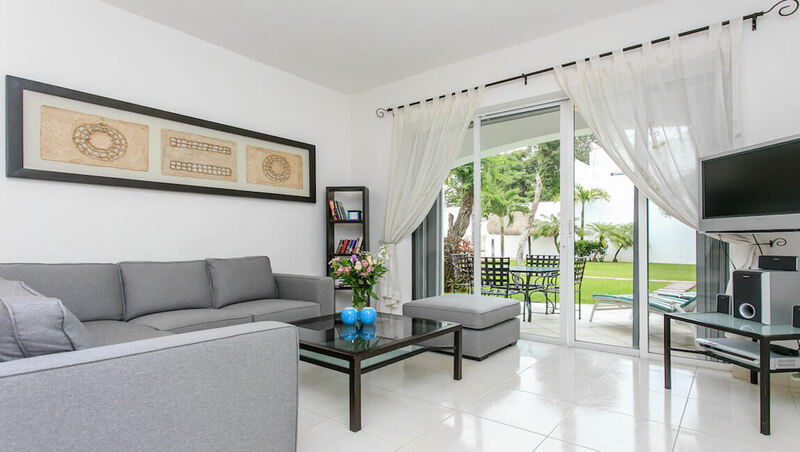 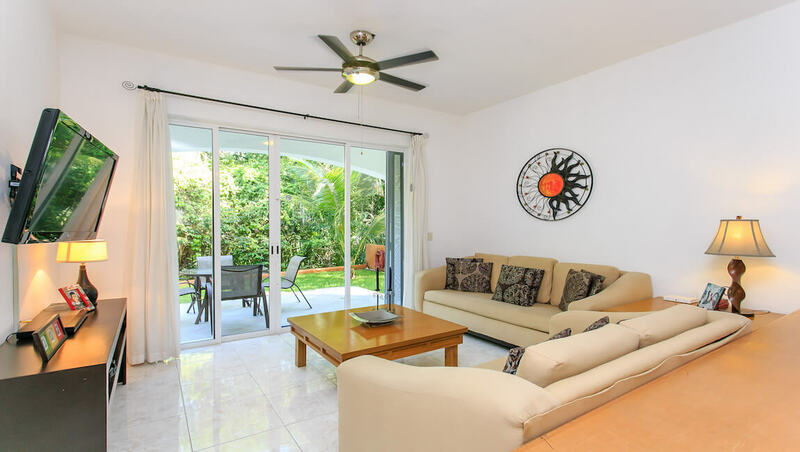 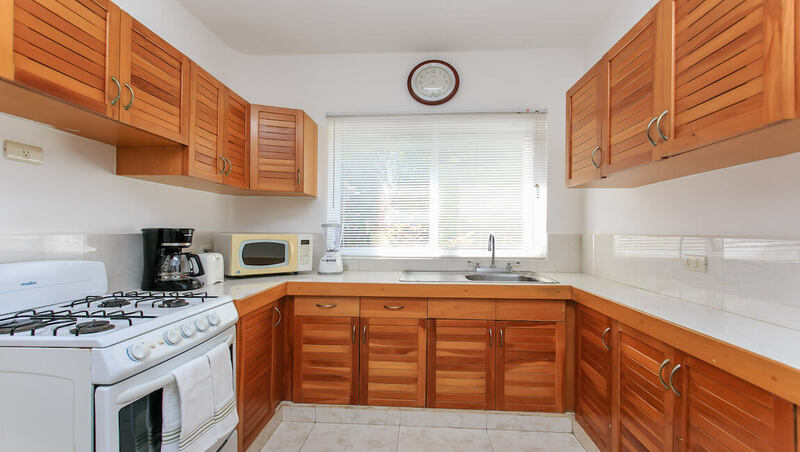 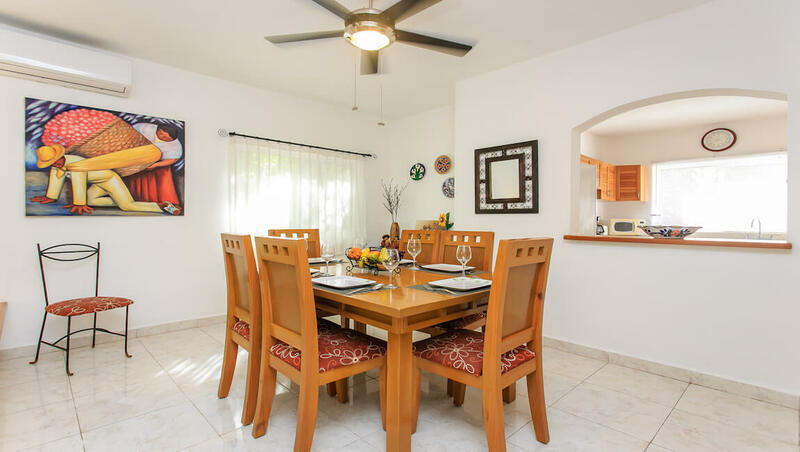 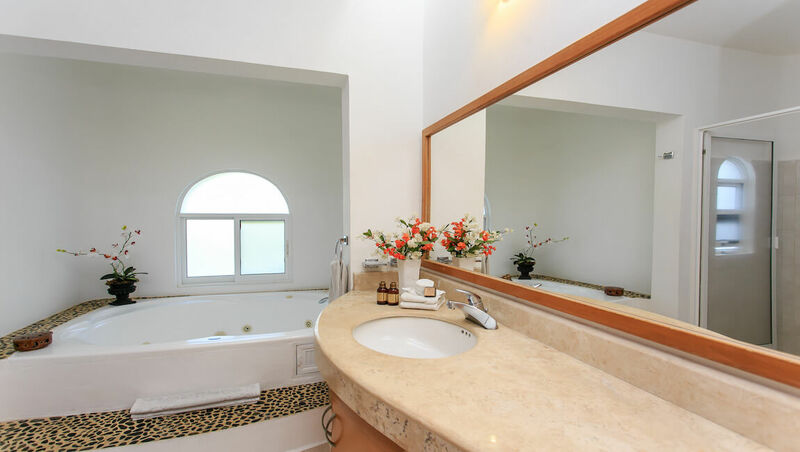 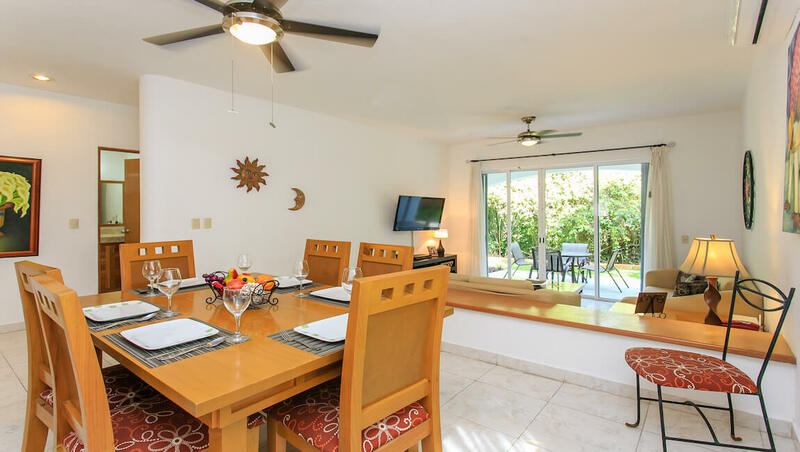 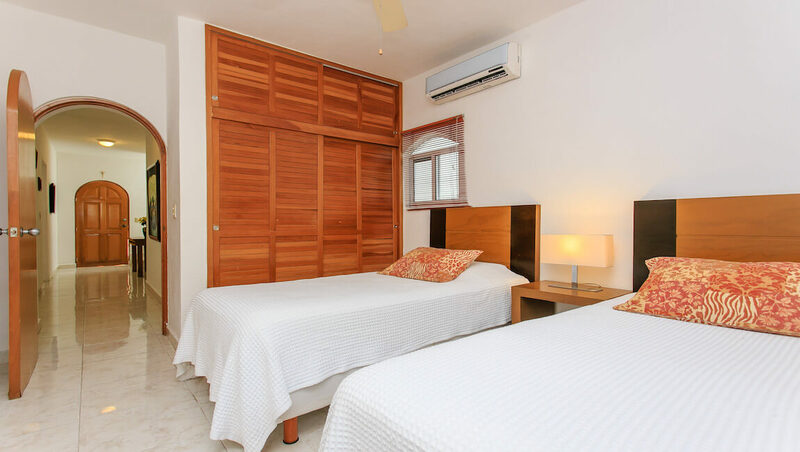 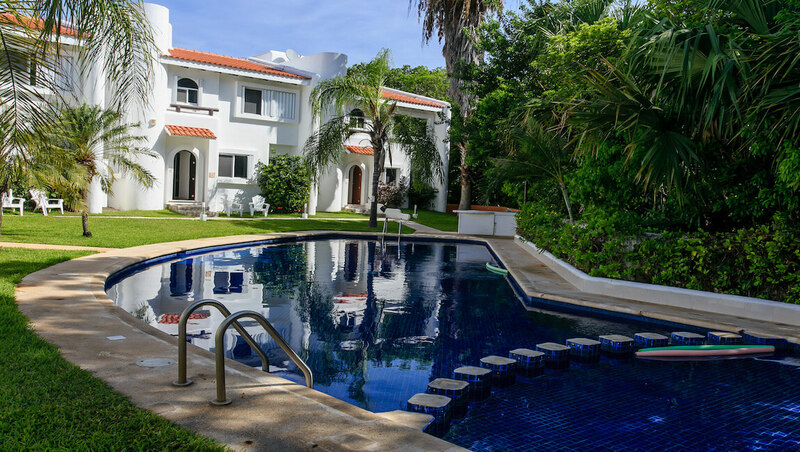 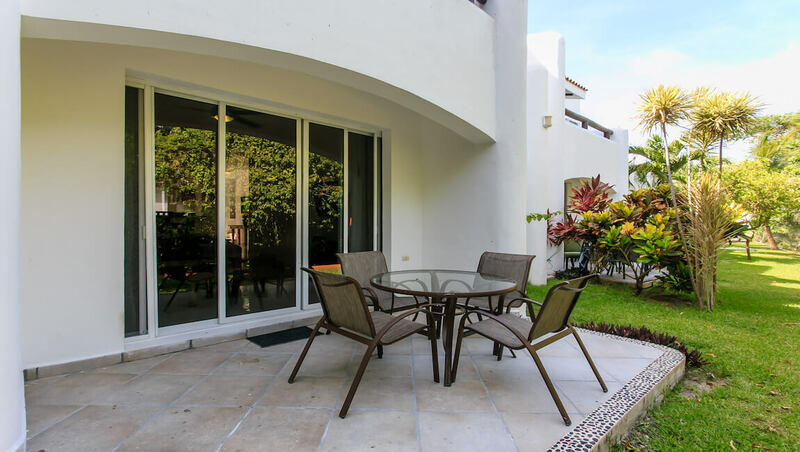 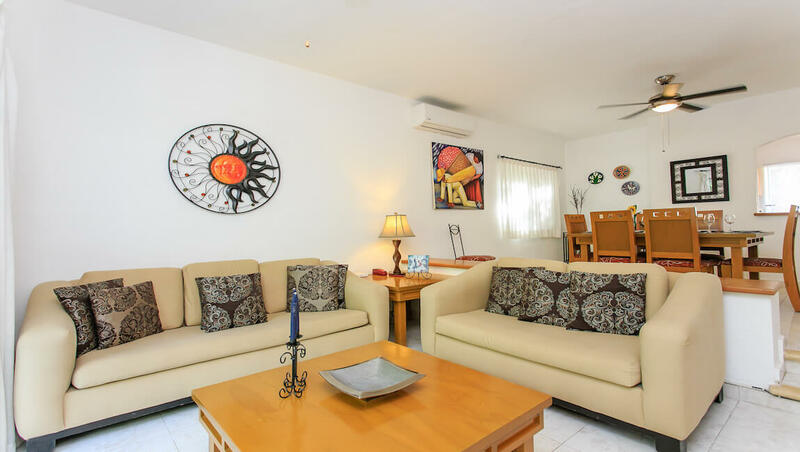 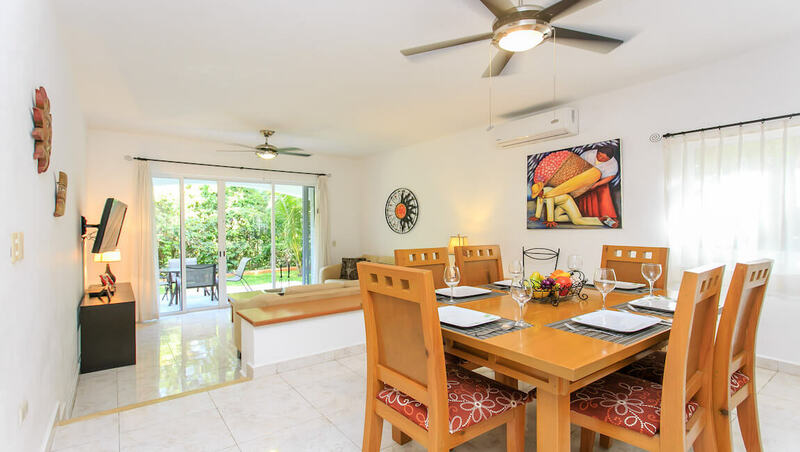 Villa Playamar Tucan features 3 bedrooms and 3 bathrooms, fully equipped kitchen, table for 6 people and comfortable living room with direct access to the common areas with garden and pool. 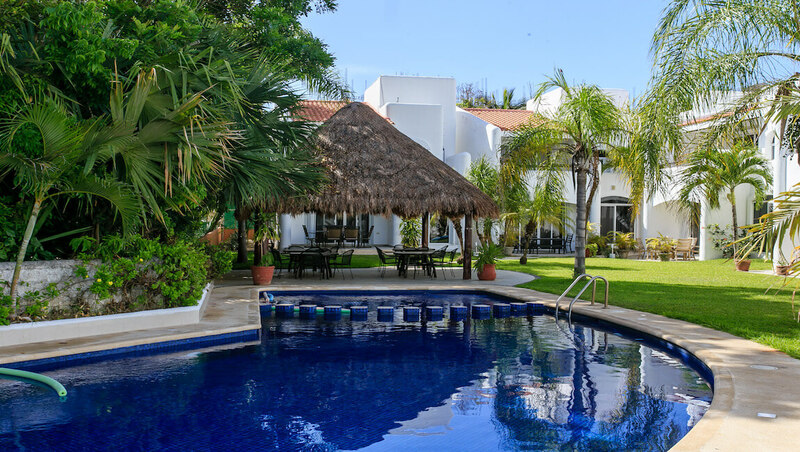 In the garden you will find a big palapa perfect for lunch or for watching the sunset near the pool. 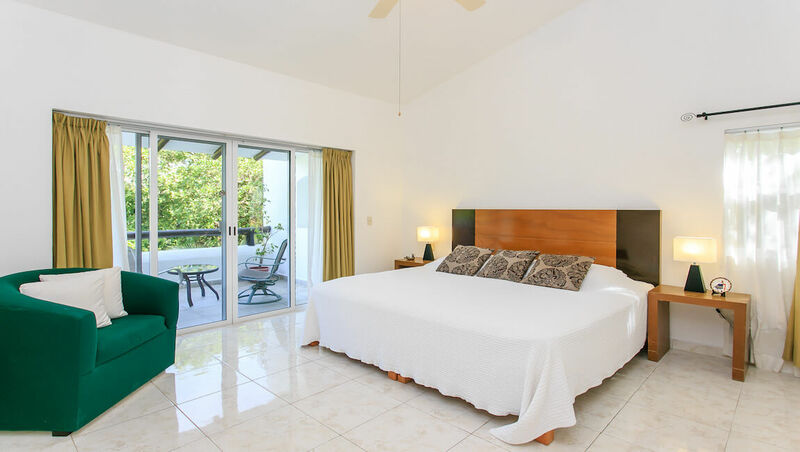 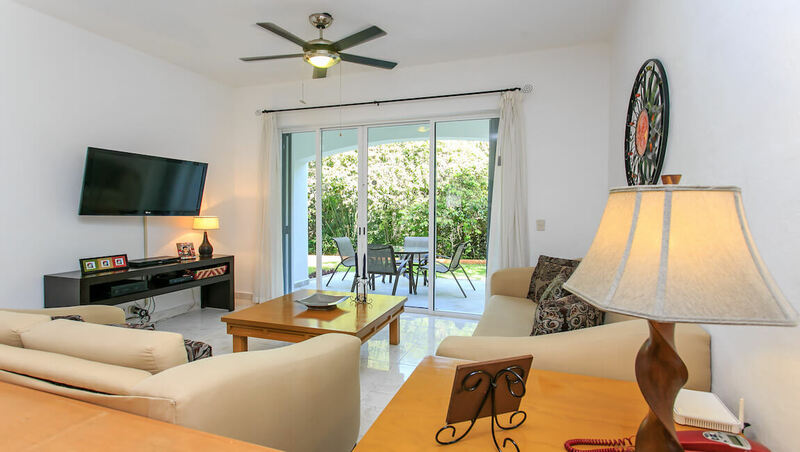 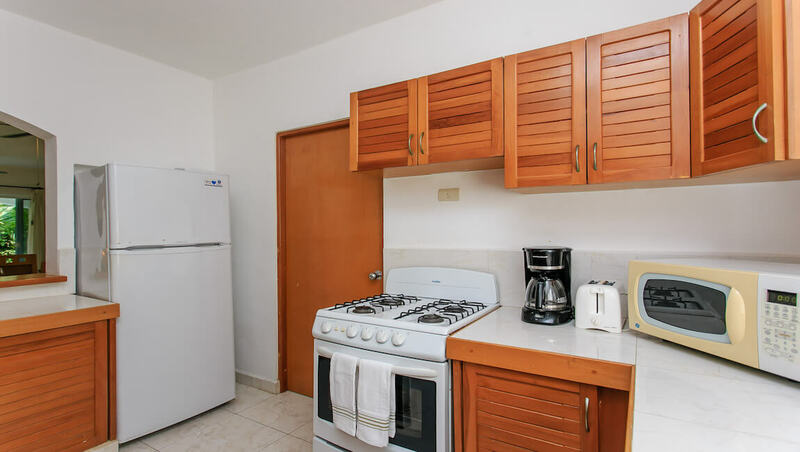 Either you walk to the beautiful Caribbean beach and to the famed 5th Avenue or you stay at your Villa enjoying the pool and drinking something at your terrace, Playamar is a perfect option for your vacation. 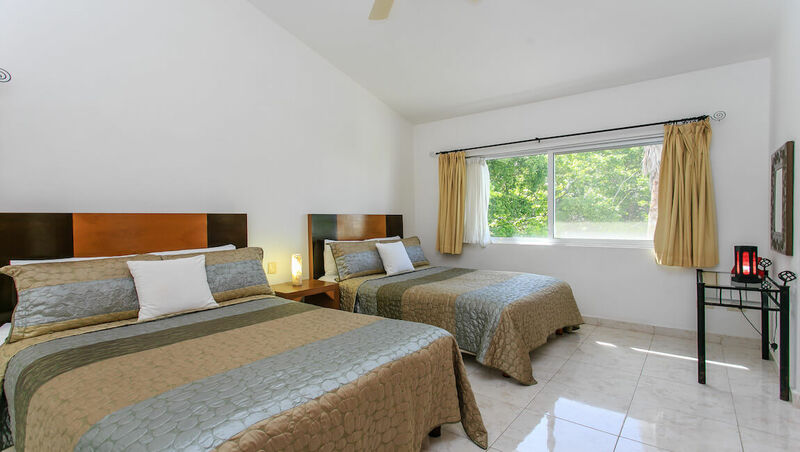 From Friday, March 29, 2019 to Thursday, October 31, 2019 the minimum stay is 4 nights.